The RRB ALP CBT 2 answer keys are set to be released soon. 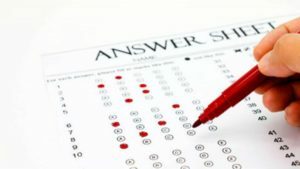 An official said that the RRB ALP answer keys for the second stage CBT (Computer- Based Test) are going to be released in a couple of days. But the official also said that the RRB (Railways Recruitment Board) has not yet fixed an official date for the release of the answer key. The recruitment is done to fill more than 60,000 posts in various posts like Assistant Loco-Pilot and Technicians in national transportation. The RRB ALP CBT 2 answer key will be officially posted on the official websites of the 21 regional boards which include RRB Mumbai, RRB Patna, RRB Chennai, RRB Chandigarh, RRB Bhopal, and RRB Allahabad. The first step is to: click on the link that represents your city, the links are provided above. The second step is to: Find and Click the login link that is present on the homepage. The third step is to: Login by using your credentials or registration details. The fourth step is to: Submit and check the RRB Alp answer key that you will find in a page that will be redirected to you.